The recent release of the movie "Dolphin Tale" with Morgan Freedman has renewed many people's interest in the idea of artificial legs for dogs and cats and other animals. The loss of a limb or worse, two, can be devastating for an animal but for those pets lucky enough to have access to veterinary professionals with the ability to attach prosthetic animal limbs and owners or others willing to foot the expense, a prosthetic limb can mean a long and almost normal life. We recently heard about both a cat with artificial limbs and a dog with artificial limbs (see below), but there are many examples of pets with prosthetics and also wild animals with artificial limbs. One of the world leaders in artificial limbs for pets is veterinary surgeon Dr Noel Fitzpatrick and one of the first dogs to receive prosthetic limbs by Dr Fitzpatrick was a Belgian Sheperd called Storm (pictured above). Storm lost his paw after it became infected with a tumor and Dr Fitpatrick fitted him with a replacement paw of laminated carbon fibre. In the above video clip, you see Oscar, a cat with two false legs who was fortunate enough to also have veterinary surgeon Dr Noel Fitzpatrick's assistance after he lost his two rear legs in an accident with a combine harvester. Dr Fitzpatrick gave Oscar the cat two prosthetic paws which has helped this lucky kitty live a fulfilling life. While the process was a success, Oscar’s artificial cat paws haven’t yet been perfected for outdoor use and so at this stage he is going to have to be a house cat for the forseeable future. In 2011 a dog called Nakio became the first dog in the world to be fitted with a full set of bionic paws from a company called Orthopets. Nakio lost his paws due to severe frostbite after his previous owners abandoned him to fend for himself during a freezing winter in Nebraska. The dog's artificial limbs have been so successful that he can now walk, run and swim. It's not just dogs and cats that have been lucky enough to receive artificial animal limbs but there are other animals including goats, dolphins and even elephants with artificial limbs. Boonie the goat broke his leg and unfortunately, the break was so bad that his leg had to be amputated. Fortunately, Boonie’s owner cared enough about her to get in touch with Orthopets, the same company that would later help Nakio. Boonie the goat now walks and runs without problems thanks to his artificial leg. 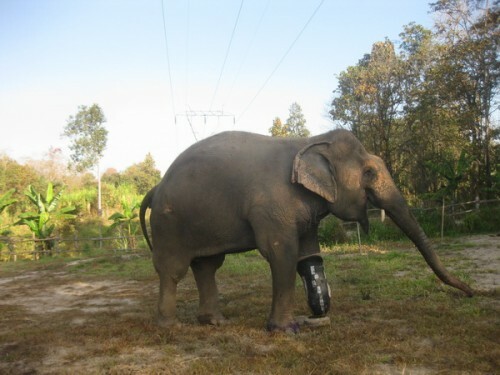 In Thailand an elephant called Motala lost her foot after stepping on a landmine but Veterinarians were able to fit a prosthetic elephant leg made of fiberglass and silicone. And don't think bionic limbs for animals are only for land animals. 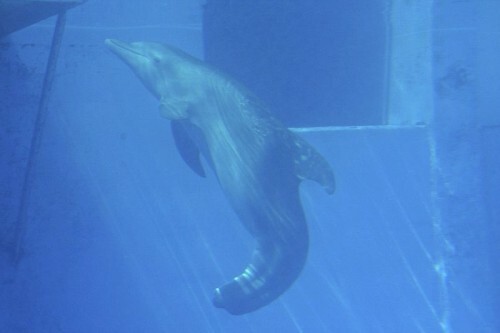 Two Dolphins, Fuji from Okinawa aquarium and Winter from Clearwater Marine Aquarium have had artificial tails attached. In Fuji's case, an unknown disease took her tail meaning it had to be replaced with an artificial dolphin Tail made from rubber by the Bridgestone tire company. Perhaps the most famous dolphin with a prosthetic tail, Winter lost her tale when it became caught in a crab fishing line. After Winter received her bionic dolphin tale, a documentary was smade about her called Winter, the Dolphin That Could, and Warner Bros made a fictionalized version of the story starring Morgan Freeman, called Dolphin Tale. In Japan, the Sea Turtle Association helped fit artificial turtle flippers on a sea turtle called Yu Chan. 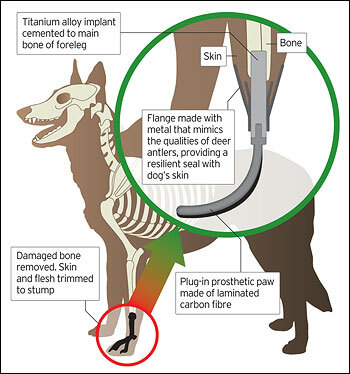 While some people criticize the efforts and cost put into artificial limbs for pets and other animals, particularly in species that are not under threat of extinction, it is important to remember that the developments in artificial limbs for pets could in the future help save a critical breeding member of an endangered species and advances in artificial limb construction and design for animals also helps in the better design of artificial limbs for humans.